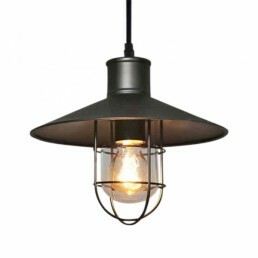 Evoking the early-20th-century industrial lighting mood, our reproductions of vintage fixtures preserve the classic lines and exposed fixtures of the originals. 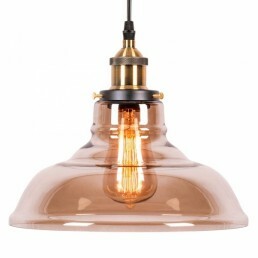 Created to exhibit the warmth and style of Edison-style filament bulbs, these lights will instantly add industrial chic to your living space. 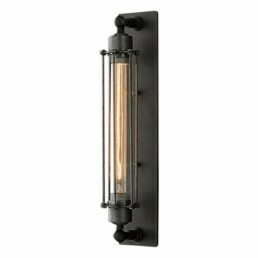 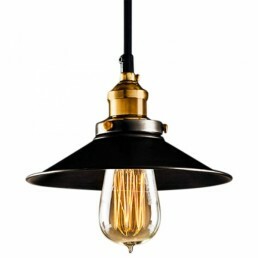 Edison retro industrial style factory black metal pendant light fitting with ceiling rose and adj..
Edison retro, industrial style, factory grand steel caged sconce wall light fitting with ceiling ..
Edison retro industrial style factory glass sphere pendant light fitting with ceiling rose and ad..
Edison retro industrial style harbour black caged pendant light fitting with ceiling rose and wir..
Edison retro industrial style factory glass bowl pendant light fitting with ceiling rose and wire..
Retro industrial style Edison bulb E27 squirrel cage filament. 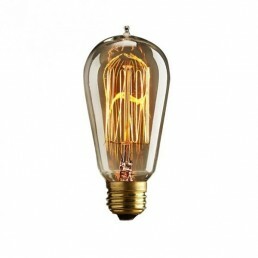 This quaint vintage light bulb inv..
Retro industrial style Edison E27 medium globe squirrel cage filament light bulb. 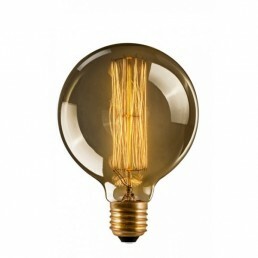 This quaint vin..
Retro industrial style Edison bulb T30 long tube filament - 300mm. 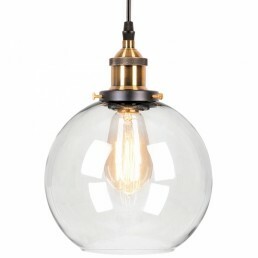 This warehouse style vintage l..